Mitchell Rubinstein D.M.D. 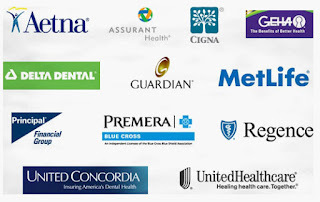 : Is your dental insurance company ripping you off ? 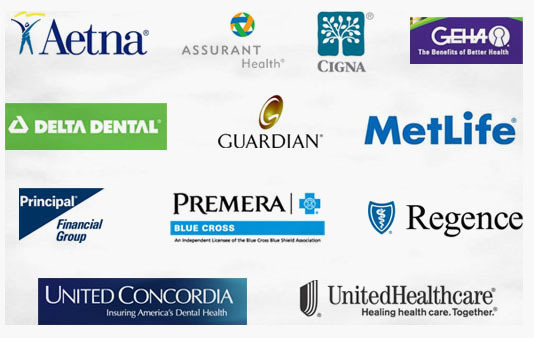 Is your dental insurance company ripping you off ? I tell all my patients that healthy mouth is a very important part of their overall good health. And we all want an attractive, confident smile. This is why dental insurance is such a highly prized benefit. Insurance can help you get the care you and your family need. Frequently, however, the benefits you receive don’t match up with what was promised to you. Your plan may pay a smaller portion of the cost than you think it should, or maybe they reject paying for a particular type of treatment. Of course, the insurance company’s top priority is not helping you get the care you need, it is making money. And the less care you get, the more money they make. We’ve all noticed this same disturbing trend with our medical and prescription coverage, where rising premiums, plan limitations and sky high deductibles have left us all responsible for more and more of the cost. Dental plans use some of these same methods to make sure they pay as little as possible. The following deceptive practices are not new, but they’ve become much more prevalent in the past few years. Dental insurance companies have spent years stacking the deck in their favor, and these are a few of the ways they do it. 1) Artificially low annual maximums. Back in the 1970’s, dental plans had annual maximums of $1,500. That was the most they would pay towards your care in any one calendar year. Adjusted for inflation, they should be paying roughly $6,000 in today’s dollars. Unfortunately, most dental plans have not raised their annual maximums to reflect inflation. Some have actually LOWERED them. You may have been told you have “comprehensive” dental coverage, but if they cut you off at $1,500 in benefits, anything more than routine preventive care will rapidly use up your yearly limit. Does your plan still have an annual maximum of $1,500 or $2,000 per year? If so, you could definitely be justified in calling that a rip-off. 2) The “usual and customary” fee scam. Your dental plan has specific dollar amounts they will reimburse for each dental procedure. They call this list the “usual and customary” fee schedule, implying that it is based on average or typical fees charged by dentists in your area. It isn’t. They don’t tell you exactly how they calculate these fees, but they always set them much lower than the real costs. When you are required to pay the difference, you might feel like you’re being ripped off. Just remember it is the insurance company ripping you off, not your dentist. Fortunately, there is objective, publicly available data for consumers who want to see what the real usual and customary fees are in your area. If you go to www.fairhealthconsumer.org you can search any dental (or medical) procedure and see the average fees, broken out by zip code anywhere in the U.S.A. If you compare these real fees to your insurance company’s lowball “usual and customary” fees, you will see how wide the gap is between them. Human beings are individuals. You are an individual. Your dental needs aren’t the same as everyone else’s, but your insurance company probably acts as though they are. Imagine if you had a heart attack, and your medical insurance refused to pay for your care because you had a previous heart attack last year? Outrageous, you say? Unfortunately, dental benefit companies do this kind of thing all the time. Whether you need treatment for periodontal disease, tooth decay, TMJ disfunction, or many other types of restorative care, your benefits can be arbitrarily limited to a certain “frequency” set by the company. If you break a tooth that had a filling done a year or two ago, your insurance company will probably refuse to cover the treatment because they say it is “too soon” for the tooth to be fixed again. This is just one example of a frequency limitation. There are many others. The insurance company is shifting costs onto the you, patient, instead of reimbursing appropriately. Yep, that’s a rip off. Some dental plans maintain networks of “preferred providers”, and encourage you to see only the doctors in that network. Nothing wrong with that. You might assume that dentists get on this “preferred” list because of a higher standard of quality, experience or professional excellence. This isn’t the case. Dentists get on the “preferred” list by agreeing to accept lower fees than normal. Sometimes far lower. Can dentists participate in these networks and still provide good care? There are some who manage to do it. But it makes it much more difficult. And it doesn’t help you to have the insurance company’s bureaucrats looking over your dentist’s shoulder, second guessing decisions about your care. The important question is : Are you given the choice to see any dentist you want? Or are you required to see only dentists in their network? Some plans offer only in-network coverage, and pay you nothing (literally, zero) if you choose a doctor or treatment option that isn’t on their list. Of course, that doesn’t stop them from collecting your premium payment. That is (you guessed it), a rip off. Getting these questions answered about your plan is also harder than it should be, of course. The insurance company probably has an 800 number you can call, where you will be kept on hold for a while and then transferred from one flunky to another, none of whom have the information you need, or the authority to resolve any problems. You could also get the information from your employer, who makes some of these decisions when they’re designing your plan options. They might not even be aware of some of the more disturbing tricks being used to restrict your care options. If your company is large enough, you might need to speak with someone in the human resources department. If you’re given an opportunity to choose among several dental plans, read all the fine print, and don’t just quickly check the box next to the plan with the lowest premium. The cheapest plan might save you some money up front, but it could cost you more down the road. It depends on your particular needs. The more information you have, the better. As with all questions about your dental health and treatment, speak to your dentist when questions come up regarding your insurance. We will do our best to help you get the benefits you’re entitled to. More importantly, we can help you get healthy and stay healthy. Whether you have dental insurance or not, regular preventive care is the most cost effective dental treatment you can get.